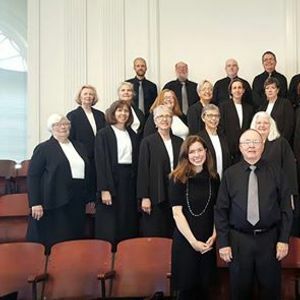 The Berea Classic Chorale will present it's Spring concert, "Miniature Masterworks." Music by Henry Purcell, J.S. Bach, W.A. 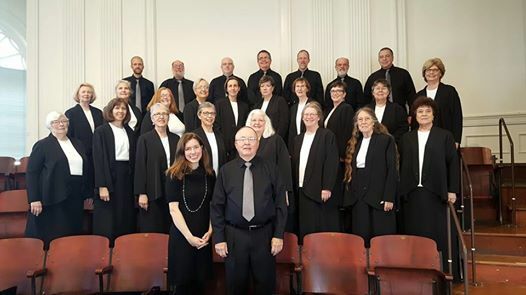 Mozart and Gabriel Faure' will be sung by the 28-voice community chorus. The compositions for this concert are by some of the giants of classical music from the lath 17th century through the early 20th century. However, in contrast to the many large works by these composers, the Chorale will be presenting pieces pieces of more modest length, but clearly by the hands of musicals geniuses. These sacred works will be accompanied by organist Rob Hayden and a string quartet of area professionals. The concert venue, the sanctuary of Union Church, is located across the street from Boone Tavern in Berea. Admission for adults is $5. Children and students may attend for free. Tickets are available from Chorale members and at the door. Please join us for a reception in the church parlor immediately following the concert.